Normally I DON’T like commercials, they’re normally pretty stupid, but there’s one advert that I don’t mind watching over and over and it involves cats the whole way through! – If you love cats, this is the ONE advertisement you wouldn’t want to MUTE on TV! 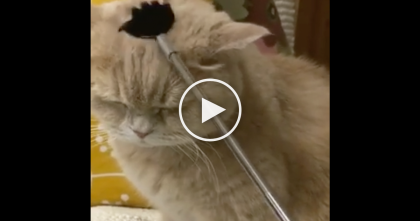 That was just too funny, I love it—SHARE this with your friends and family if you enjoyed! 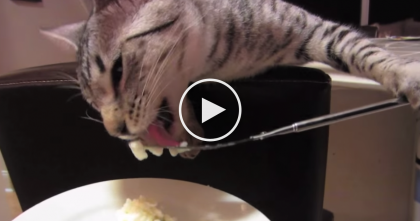 This Cat Discovers A New Way To Eat Food…And It’s Genius, WOW. 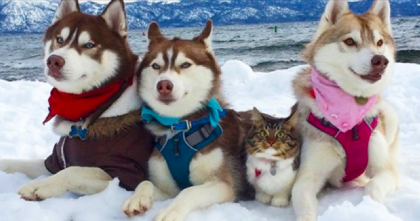 They Heard Meowing Coming From An Empty Chip Box, But Then They Opened The Lid… OMG! !